Responding to the allegation, Jonathan challenged Waziri to make public names of the person and company she was investigating at the time. 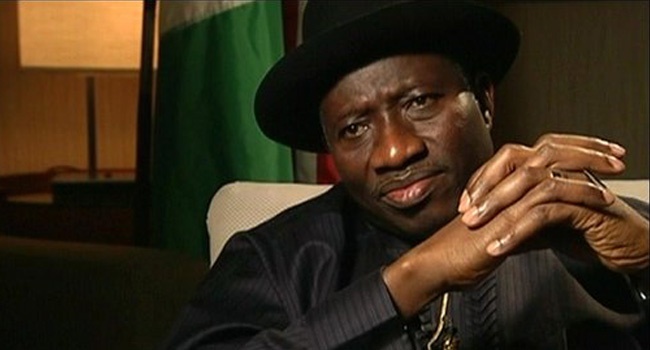 Former president Goodluck Jonathan has replied ex Economic and Financial Crimes Commission boss Farida Waziri. Waziri had alleged that it was her refusal to back down from the probe of one of the masterminds of the fuel subsidy scam that earned her a dismissal by Jonathan in 2011. She said she received a call from the presidency after the arrest of the ‘big fish’, that the suspect should be left off the hook, but her insistence to continue the case cost her her job. The former president accused Waziri of being hired to attack him. “If Farida is not telling lies she should mention the person or company she was investigating and she was stopped, let the @officialEFCC investigate. Crime has no statute bar. If she can’t then she was simply hired to attack me,” he wrote on Twitter. Waziri was quoted as saying by Femi Babafemi in a statement, that had she not been sacked, she would have been traumatised by the revelation of the alleged grand sleaze that took place under Jonathan’s watch. “I came to Lagos on a vital intelligence on the subsidy scam and as soon as I arrested a key culprit, I got a call from the Presidential Villa asking me to release the suspect, because, in their words, ‘he is our person,’ but I refused to let him off and days after, I was removed from office.” She said.